Sometimes I’ll take a film where I would not know what to expect but the names involved would make me take that chance. This was the case for the thriller “The ID”. I was attracted to the film because I’d like Amanda Wyss from “A Nightmare on Elm Street” and the fact that it was from the producers of the excellent documentaries “Never Sleep Again”: The Elm Street Legacy” and “More Brains! : A Return to the Living Dead”. The film is about a woman (Amanda Wyss) who feels that she is trapped in her house as she cares for her father (Patrick Peduto) who abuses her psychologically. When someone from her past returns, she is forced to confront the abuse and cruelty that she takes from her father. But her father will not let go as it leads them to a series of unspeakable acts. This one was one of those films that I didn’t know what to expect as it looked creepy by the film’s poster. 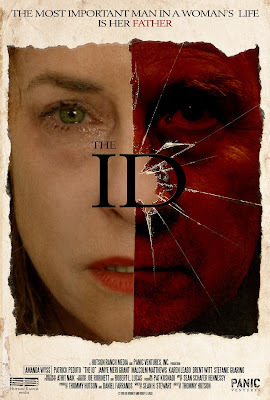 Thankfully, I made the right choice to see “The ID” and review it here, as this is a very well-acted film from start to finish. Some of the reason why I liked was the fact that the directing was very good. First time director/producer Tommy Hutson does a very good job from start to finish. Whether it’s the way that he approaches each of the scenes to how he handles the action, Hutson makes sure its gloomy and intense enough that make sense with the main character’s state of mind. The other thing that I liked about his direction was the fact that acting was very good. Hutson does a very good job making sure the performances are good enough to make it standout. It’s something that is needed for a psychological film like this. Speaking of the performances, I thought the main performances were great. I liked how both Amanda Wyss and Patrick Peduto brought emotion and creepiness to their characters. It made the psychological aspects work very well as both of their characters are very flawed and troubled throughout. The scenes between the two keeps your interest in the film as the film gets going as its horrifying psychologically. It’s one of the best parts in the film as it sets up the rest of the film. The screenplay written by Sean H. Stewart was a dark and disturbing one. One of the things that I liked about it was the fact that it does a very good job focusing the main character’s state of mind and her troubled relationship with her father. It’s done very well as it created a level of dread throughout. It plays into the main character’s state of mind during the course of the film as she goes into madness. The other thing that makes this good was the fact that it stays on one character throughout. I liked how it stays in one place makes the main character its only focus. It allows the action to feel dark and disturbing. That helps make the psychological aspects work so well. 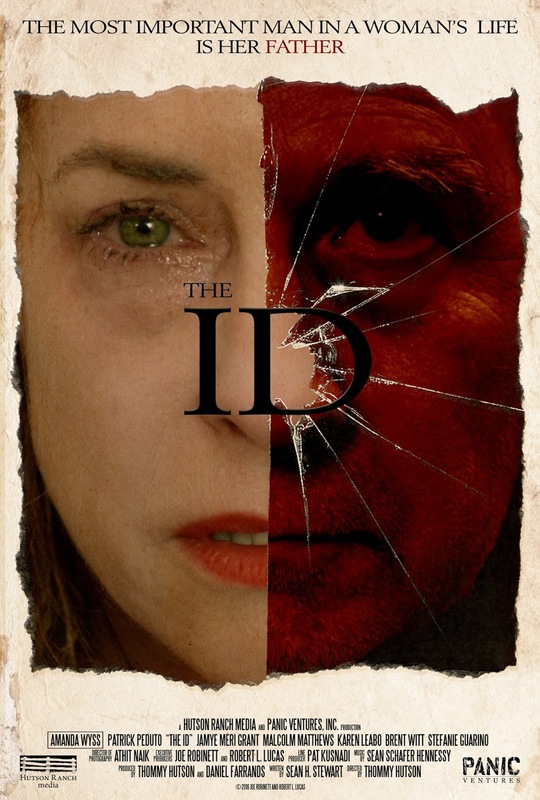 The acting and direction really helps make this film very good from start to finish “The ID” is a very dark and disturbing psychological film that will haunt you at night.